We are so proud to have continued the tradition of an established Partnership minyan, a minyan m’shatef, for a third summer. A Partnership t’fillah is one in which the separation of men and women is upheld, but the active participation of women in numerous roles is permitted and encouraged. The idea is to create a prayer space that is considered halakhically acceptable by many, makes people who prefer separate seating feel comfortable, and at the same time, allows women to be active participants and leaders in p’sukei d’zimra, the Torah service, and the reading of the Torah. 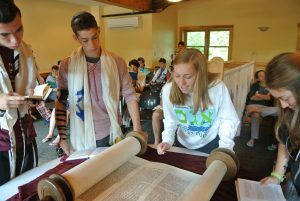 Yavneh’s Partnership minyan, which typically meets every Monday and Thursday (Torah reading days), has been a well-attended, safe, and happy prayer space in which a diverse group of men and women participate. One female chanicha starts the service off with p’sukei d’zimra, followed by a male chanich leading shacharit and a female chanicha leading the Torah service, during which, chanichim and chanichot read from and are called up to the Torah. Depending on allotted time, the minyan leaders include singing in the t’fillot to liven up the tired morning moods of which we are all victim. 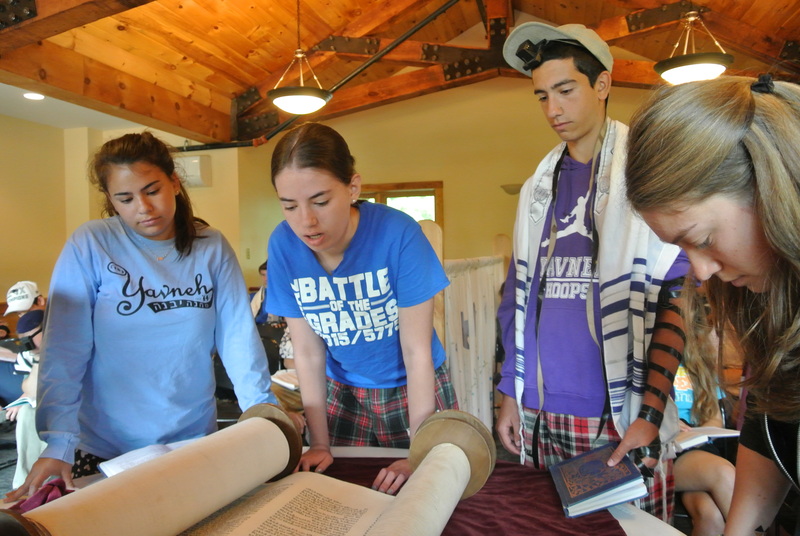 Many chanichim, madrichim, morim, and other m’vugarim have welcomed the new minyan as a positive alternative for those who wish to try something new outside of the traditional mechitza minyan and the shiv’yoni (egalitarian) minyan. Shabbat Shalom, Chodesh Tov, and Happy Davening!